BARBIE and associated trademarks and trade dress are owned by, and used under liscense from, Mattel, Inc. ® 2007 Mattel, Inc. All Rights Reserved. Immerse yourself in the magical world of Barbie Princess with this beautiful peel and stick mural. 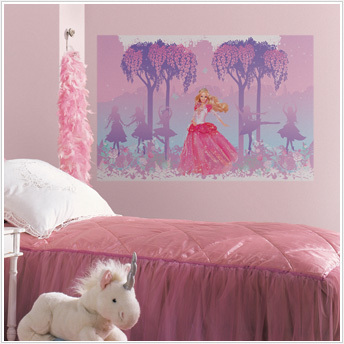 The soft colors are perfect for any little girl's room and is sure to delight all Barbie's enthusiasts. 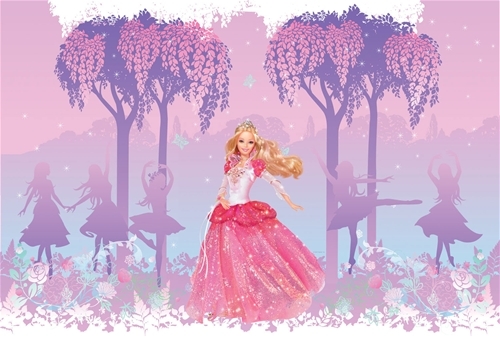 Comes with ballerina shadows and a variety of delicate decorative elements.